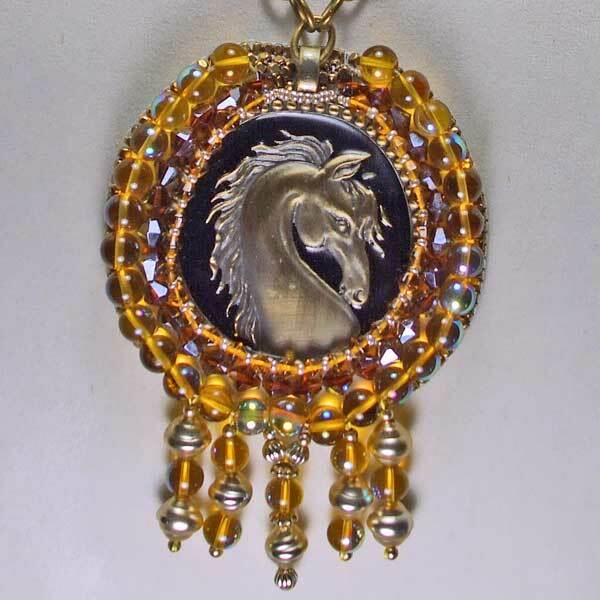 Horse Cameo Necklace is a limited edition of one-of-a-kind. This cameo is carved in the shape of a beautiful horses head with his mane streaming out behind him. The background is black with the horse in a gold shimmer silver. 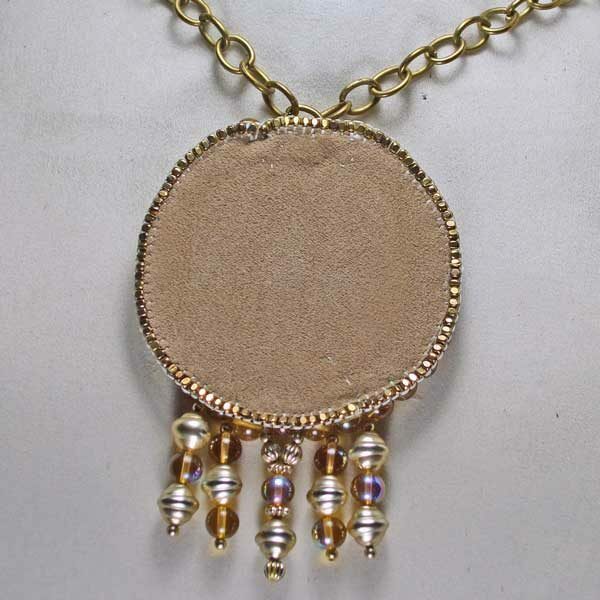 The sown beads are a gold glass in varying sizes and silver beads mixed in for design. The five dangles are gold and silver beads. All beads on my woven bead pendants are hand sown on. This hand sewing creates the design as well as prevents them from coming off. The final backing hides all of the stitching. In warm temperatures and/or dry heat, glue will become soft. No earrings are provided for this necklace. A gold beaded dangle would shine well with this necklace. 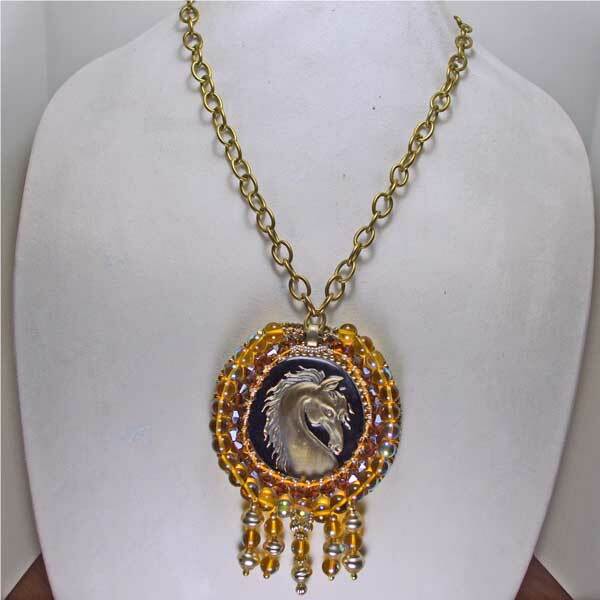 A gold large link chain holds this cameo and no fastener is needed. The chain is long enough to go over your head. The cameo dangle is 5.0 inches long (12.7 cm), 3.5 inches wide (8.89 cm) and the five dangles are 1.25 inches each (3.175 cm).